Bring the beauty of the wild into your unique look when you shop our selection of elven and nature inspired bracelets and anklets. Wear the beautiful leaves of the forest with our elven leaf bracelets, or add a wild-child accent to any look with a subtle elven anklet. 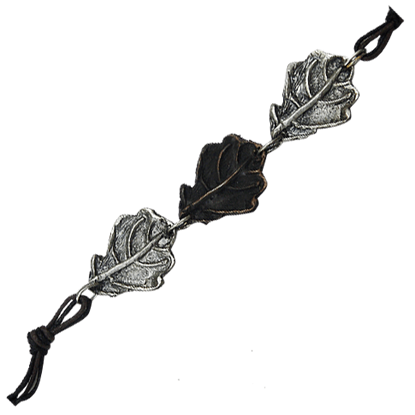 We offer a wide selection of nature themed jewelry pieces, including leaf and nature wristbands for both men and women, cuff bracelets decorated with flowers, and all sorts of other elvish wristwear embellished with the beauty of the forest. Whether you are dressing as an elf or simply enjoy the beauty of the natural world, why not accent your next look with a phenomenal elf or nature inspired bracelet from this category? Contrasting colors can make for beautiful accents, especially when the two colors are appealing to start. 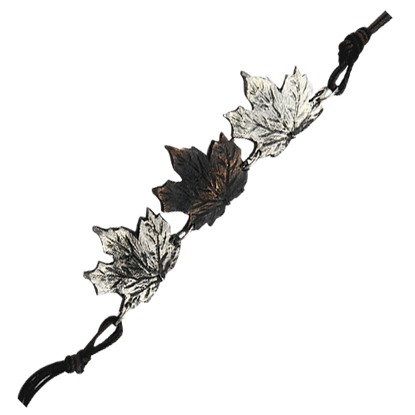 Such is the case in this Alternating Antiqued Maple Leaf Bracelet, which features a trio of lovely metallic leaves. Contrasting colors can make for beautiful accents, especially when the two colors are appealing to start. 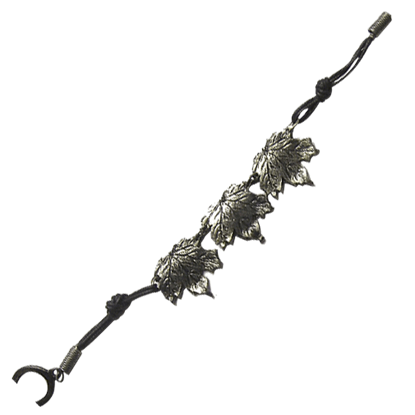 Such is the case in this Alternating Antiqued Silver Maple Leaf Bracelet, which features a trio of lovely metallic leaves. Contrasting colors can make for beautiful accents, especially when the two colors are appealing to start. 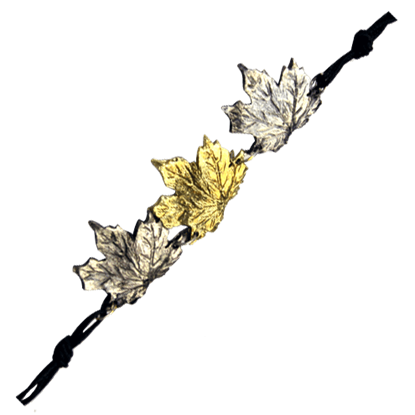 Such is the case in this Alternating Brass and Silver Maple Leaf Bracelet, which features a trio of lovely metallic leaves. Contrasting colors can make for beautiful accents, especially when the two colors are appealing to start. 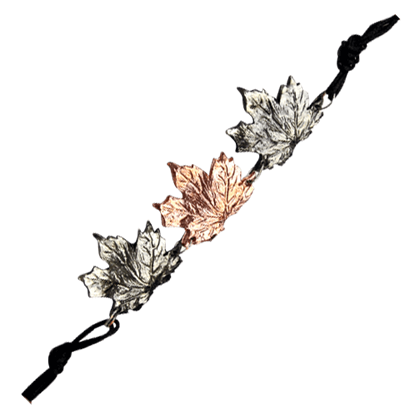 Such is the case in this Alternating Silver and Copper Maple Leaf Bracelet, which features a trio of lovely metallic leaves. 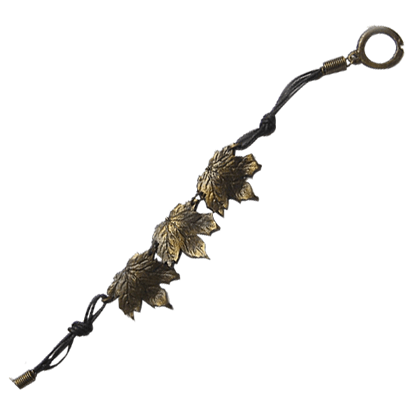 The beauty of this Antique Brass Maple Leaf Bracelet is something you just have to see for yourself. It is autumnal in its style, featuring a trio of charming leaves that you can wrap around your wrist as a unique personal accent. Sometimes, it is the small accessories that have the biggest impact on your appearance. 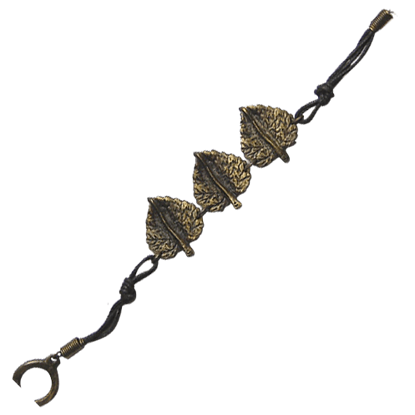 Take this Antique Brass Round Leaf Bracelet, for instance, which is small in size, yet its detail makes it quite the eye-catcher. 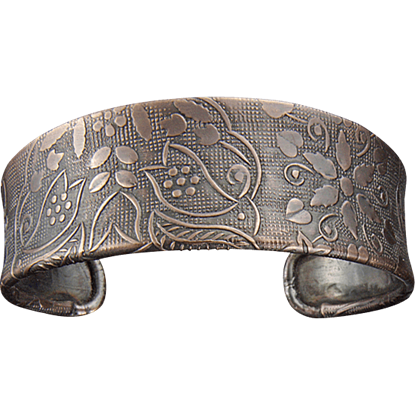 Combining vintage and modern styles into a stunning artisan accessory, the Antique Copper Etched Floral Cuff Bracelet displays intricate patterns of stylized flowers and leaves over the textured metal of this antique copper cuff. 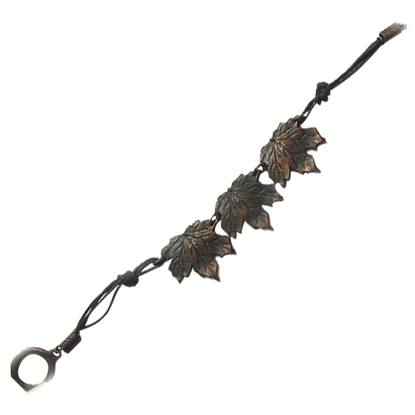 The beauty of this Antique Copper Maple Leaf Bracelet is something you just have to see for yourself. It is autumnal in its style, featuring a trio of charming leaves that you can wrap around your wrist as a unique personal accent. Sometimes, it is the small accessories that have the biggest impact on your appearance. Take this Antique Copper Round Leaf Bracelet, for instance, which is small in size, yet its detail makes it quite the eye-catcher. 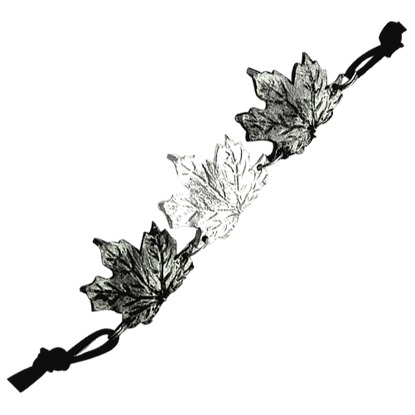 The beauty of this Antique Silver Maple Leaf Bracelet is something you just have to see for yourself. It is autumnal in its style, featuring a trio of charming leaves that you can wrap around your wrist as a unique personal accent. Sometimes, it is the small accessories that have the biggest impact on your appearance. 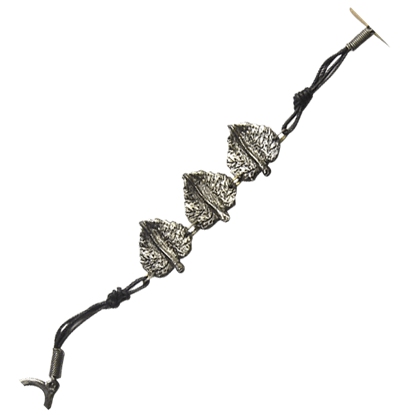 Take this Antique Silver Round Leaf Bracelet, for instance, which is small in size, yet its detail makes it quite the eye-catcher. Bright color and natural beauty are two qualities that this attractive accessory can offer. 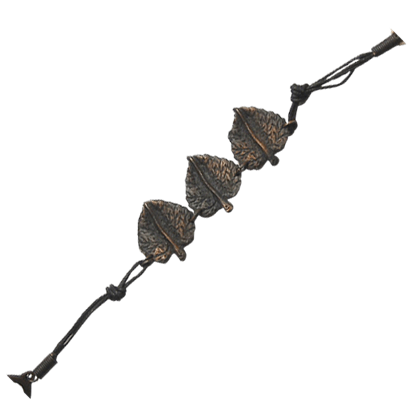 With its stylish design, this Antiqued Silver and Copper Oak Leaf Bracelet is an accessory that merges nature with fashion in an appealing way. For some reason I didn't realize this (DK1029) was a triangular shaped bottle, but I dig it. The corks on their bottles are great quality, the leather work is effective, and carrying glass bottles on a belt is a really neat idea. I am very pleased.